This organised shore dive is in the stunning Dublin Bay. From the shoreline you will be taken into the Irish Sea. See what lies at the bottom of the Sea next to Irelands capital city. This session includes the cost of the equipment rental. 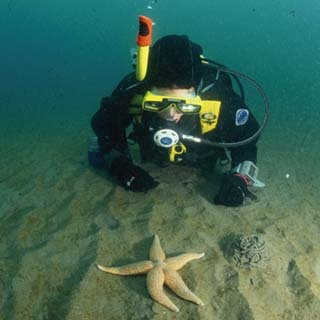 Diving takes place all year round but during the winter, easterly gales tends to limit local diving. 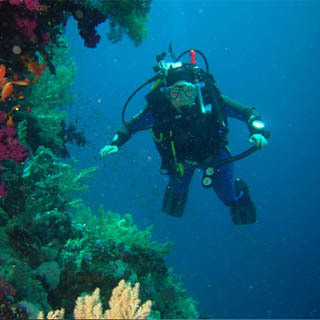 Before your dive you will be expected to complete Local Orientation dive. 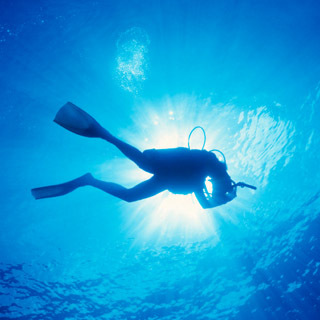 Oceandivers is a PADI Diving School and 5 Star Instructor Development Centre based in the South side of Dublin City. Visit our web site for our calendar of events. Our centre is located right at the waters edge on the West Pier of Dun Laoghaire Harbour. If you are driving, follow the coast road south from Dublin City and take the first turn left over the railway bridge off Dunleary Road. We are the only single story building on the pier right beside the Dunlaoghaire Motor Yacht Club. By DART, we are very close to Salthill Station. When you arrive at the station, recross the railway line back over to the seaside and take the pedestrian pathway running south to the West Pier (distance from the station approx.300 meters). Welcome to Oceandivers, we are a PADI School and Gold Palm Resort based at Dún Laoghaire Harbour, just ten kilometres south of Dublin City. Whether you are a complete beginner or a barnacle encrusted oldie, we hope we can cater for all your diving needs. At Oceandivers you can learn to scubadive, dive Dublin Bay, join us on Dive Safari to the best sites around Ireland or come on holiday with our Dive Club to the world's top dive locations. 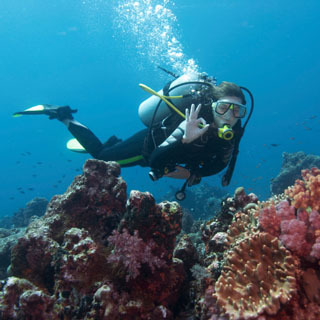 Oceandivers are run by Brian Murphy, William Siddall and Monica Schaefer who were Ireland's first PADI instructors, our combined experience will ensure exciting diving with no compromise on safety. How it Works: Use this gift voucher on AllGifts.ie to make a booking with Oceandivers. Or you can swap this voucher for any other gift or voucher listed on AllGifts.ie. Simply follow the instructions at the bottom of your voucher.